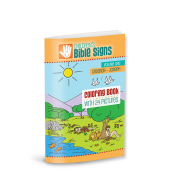 Children’s Bible Signs is an innovative and fun way to help preschool- and elementary-age children connect with Bible stories in a real and powerful way. It transforms teaching from frustrating to fun, with experiences that kids will ask to do. 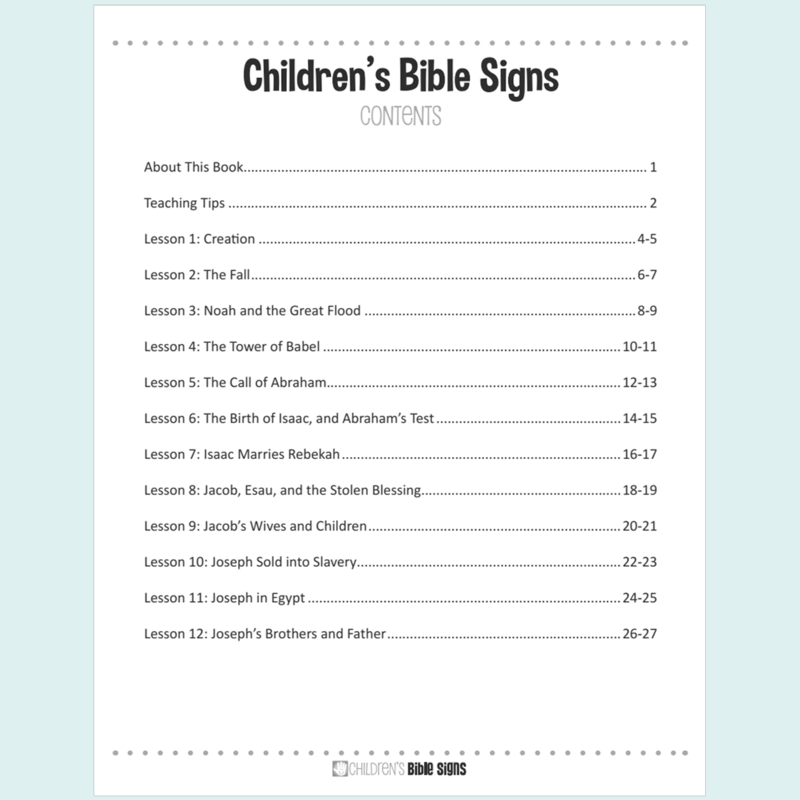 Why use Children’s Bible Signs? 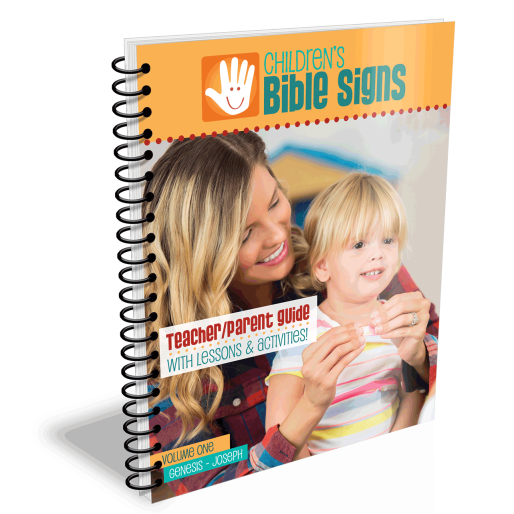 Children’s Bible Signs is carefully crafted using Touch, Sight and Sound. When these three teaching methods are combined and repeated often, even lessons we adults might tend to shy away from become concepts that kids can understand and retain. 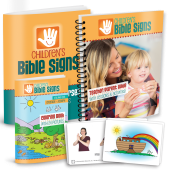 How does Children’s Bible Signs work? 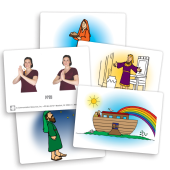 Each Children’s Bible Signs lesson incorporates elements of Baby Sign to teach kinesthetically and visually. Baby Sign is a powerful tool not only for children with expressive delays or who can’t communicate verbally but also for preverbal children or those just learning to talk. 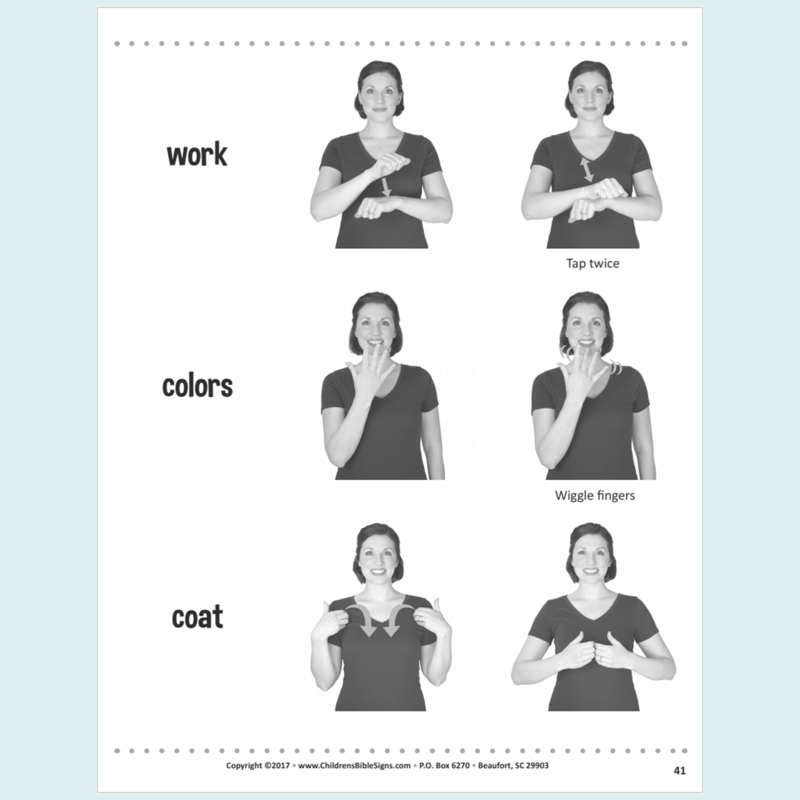 Many parents begin using Baby Sign with kids as young as six months to help them communicate needs such as hunger. Because young children pick up and retain signs much more quickly than spoken words, Baby Sign lets them communicate their wants even before they can speak. When you incorporate Children’s Bible Signs with verbal repetition in a teaching setting, children will engage actively with Scripture in a brand-new way. 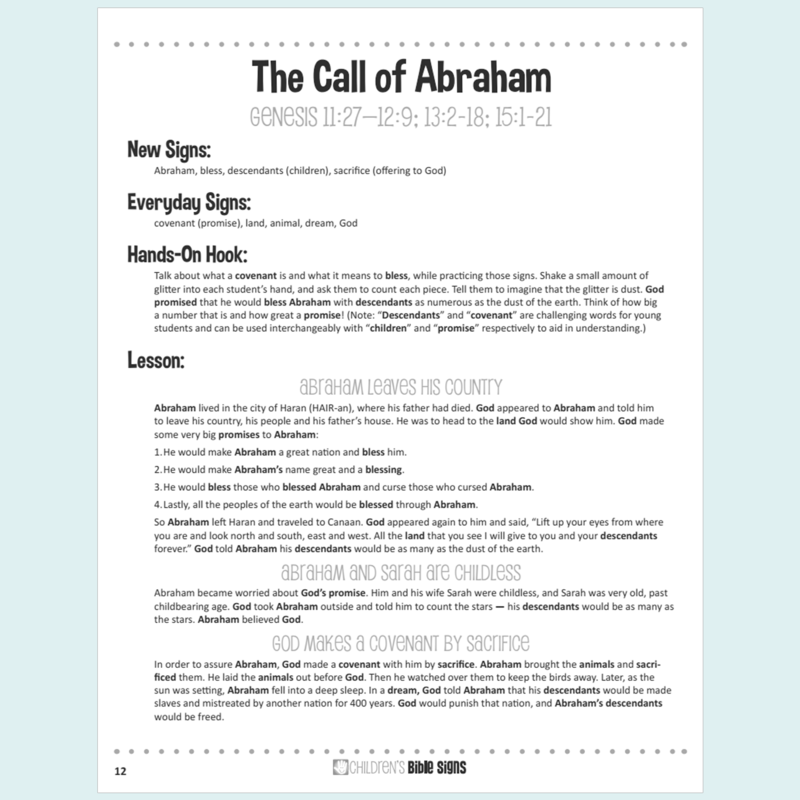 12 Bible-based stories from Creation-Joseph, categorized by main points. “Hands-On-Hook” to help teach and reinforce the story. Baby Signs for key words to repeat throughout the story. “Check for Understanding” questions that incorporate kids’ answers in Baby Sign. 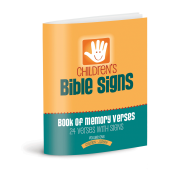 List of suggested Memory Verses (also provided with signs in our Book of Memory Verses, Volume 1). 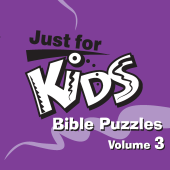 “For the Teacher” section dives deeper into the story to help you grow in your own understanding of the Bible. Scripture References are always included.